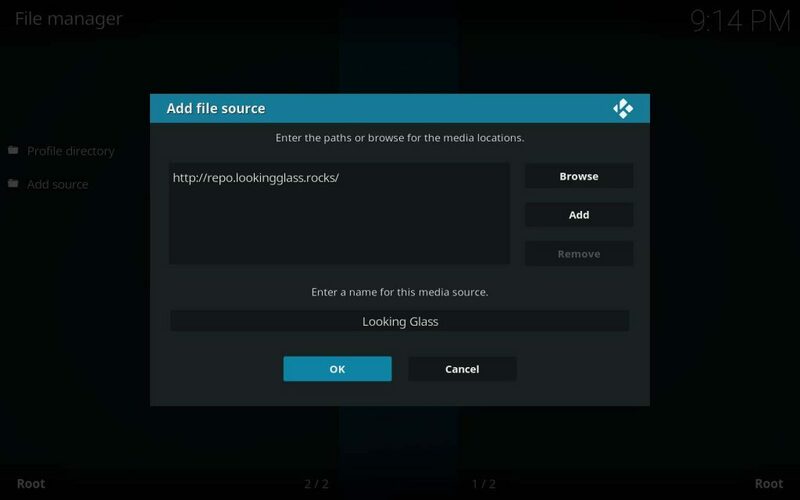 The Looking Glass repository is new to the Kodi third-party scene, but boy is it a welcome addition! With the recent downfall of the Ares Wizard, the new Looking Glass Wizard brings the magic back into your entertainment centers just in the nick of time. 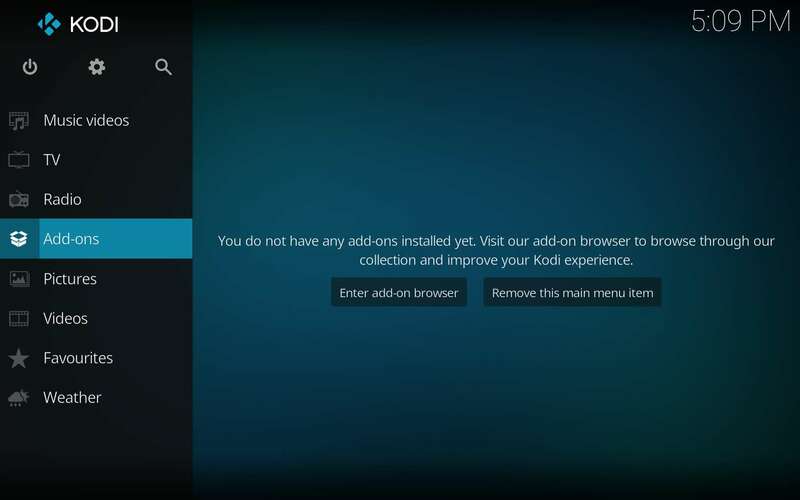 With anti-piracy coalitions and government agencies both constantly gunning for unofficial Kodi developers this past year, we present a striking new-comer. The Looking Glass repository includes some great structure, wonderful TV addons, and a wizard capable of bringing a smile to your face. There are Looking Glass builds to fit on the smallest Firestick and some full builds to keep you entertained until the next ice age and beyond. Make certain that you check in regularly on the KFire TV home page to know what happens within the undulating landscape of the Kodi third-party community. You probably know by now that accessing the internet requires the use of a highly secure VPN if you value your safety or privacy. Since the MPA and ACT crackdown last week, nobody in the Kodi third-party community can doubt that. Your online activities get monitored and recorded when you access the internet without one. Hackers only need the information learned very easily by spending 5 minutes watching one of several available YouTube videos. Your ISP and agencies governing Ashburn, VA don’t even need that; they already record your data streams routinely. Most of our readers use the best VPN for Kodi, IPVanish. Enter Settings (cog icon above main menu). 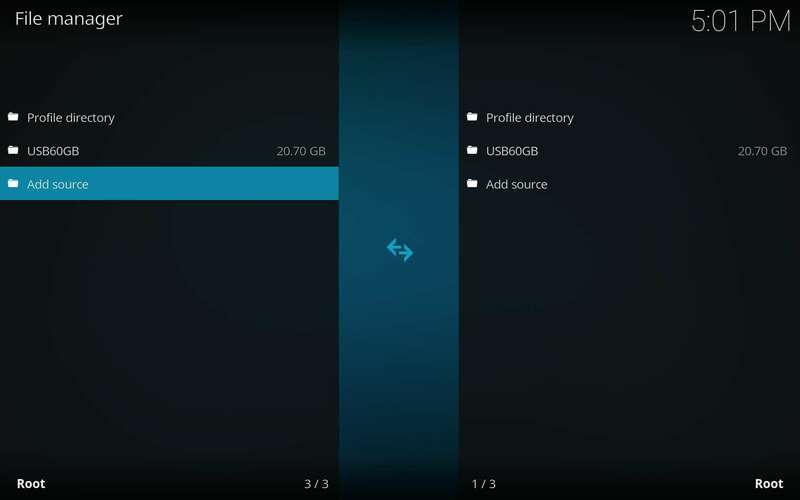 Then, access the File Manager. 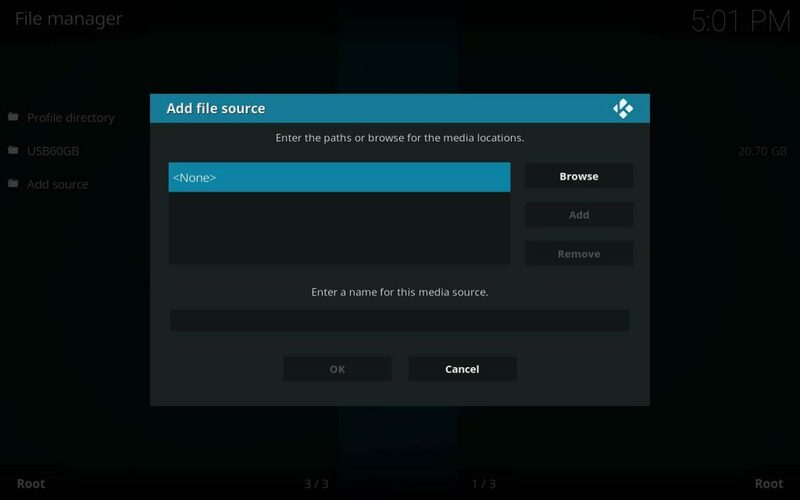 Then, choose None, which lets you add a Kodi media source location manually. 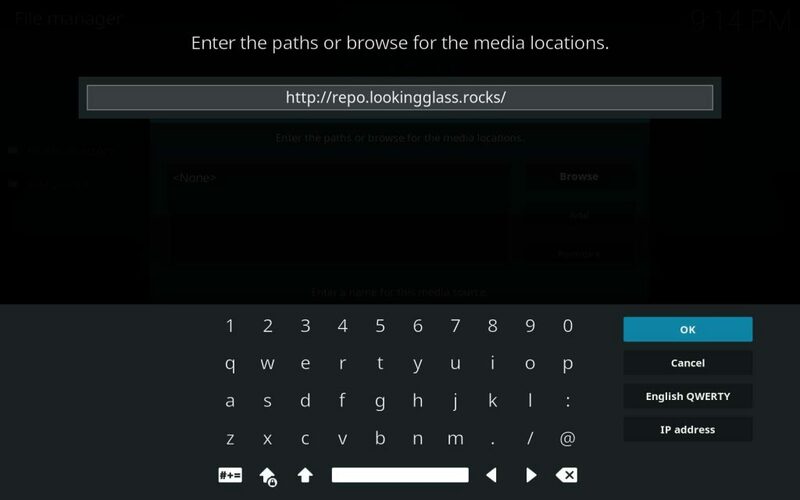 Now, input (http://repo.lookingglass.rocks/), then say OK.
Then, notice that Looking Glass is now an available install source on your way back to the home screen of Kodi. Here, we’ll install the Looking Glass Repository from that source location. 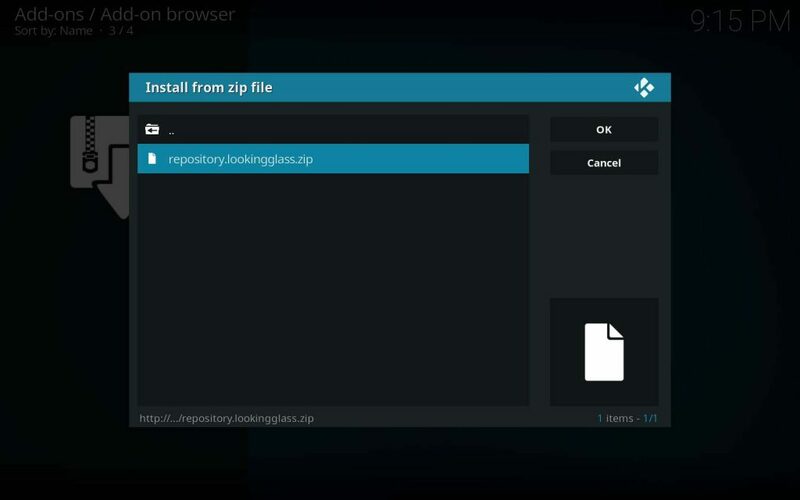 Once installed, make certain to browse around inside of it. I think you’ll find many pleasant surprises. We’ll go over some of those surprises in very-soon-to-come articles. 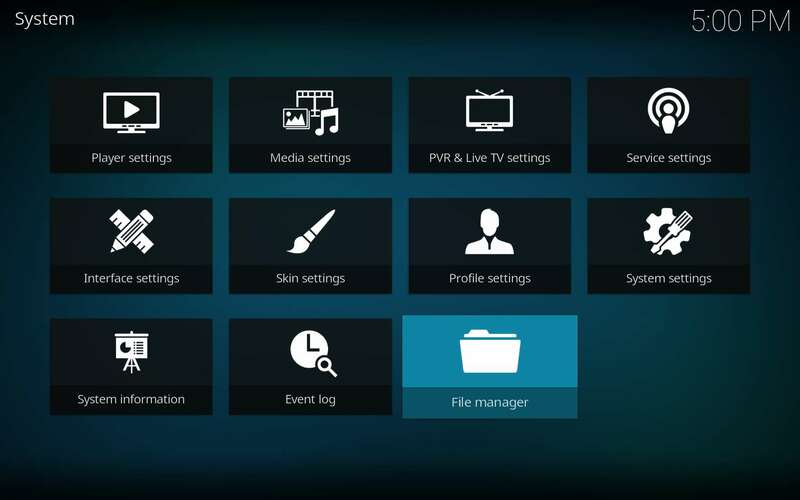 Check the KFire TV home page for the most recent articles and tutorials to get the most out of Kodi. Choose the Looking Glass Repository source, which we named Looking Glass earlier. If you mouse over to the OK button, the repository.lookingglass.zip file won’t appear selected anymore. This Kodi visual glitch confuses some people. Check the status bar below, which should still show it as selected, then click OK. Hold your horses for a mere moment, then you’ll see a popup at top right letting you know Looking Glass Add-on Installed! Once you’ve successfully installed the Looking Glass Repository, you have easy access to some fantastic entertainment. Make sure to enjoy yourself safely with the best VPN available for Kodi users! 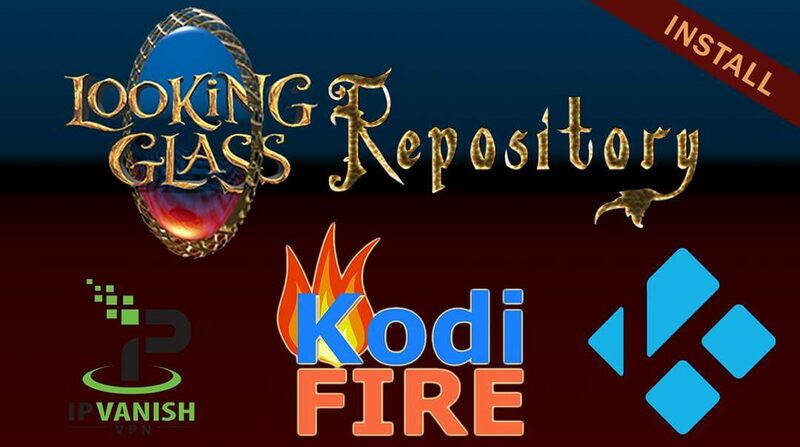 The Looking Glass Kodi Repository is an instant hit with fantastic Looking Glass Builds for Firestick, a great Kodi Wizard, and many awesome Kodi TV addons! Thanks for keeping all of us updated on all the stuff going on with Kodi. I know I appreciate it. 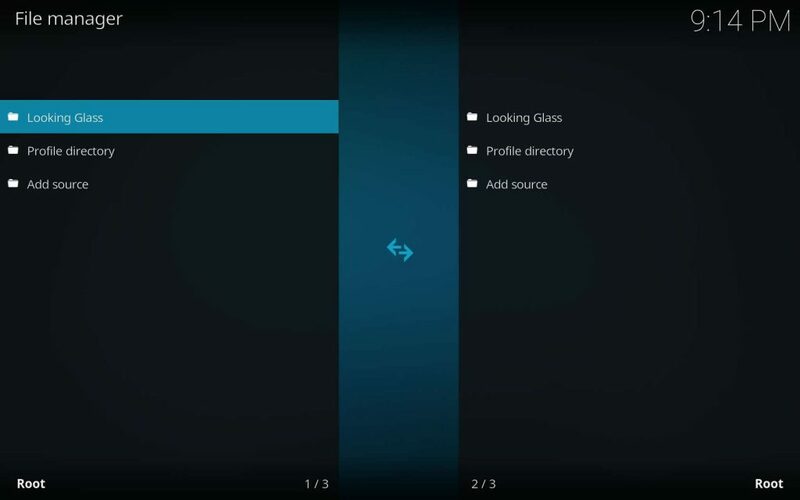 Just installed looking glass, excellent. the best yet. If I can get some more info, maybe we could get it to work for you. The process works great as written, but perhaps there is an issue with your ISP or something that isn’t allowing it to work for you. I can’t really tell without knowing your hardware (PC, Fire TV, etc? 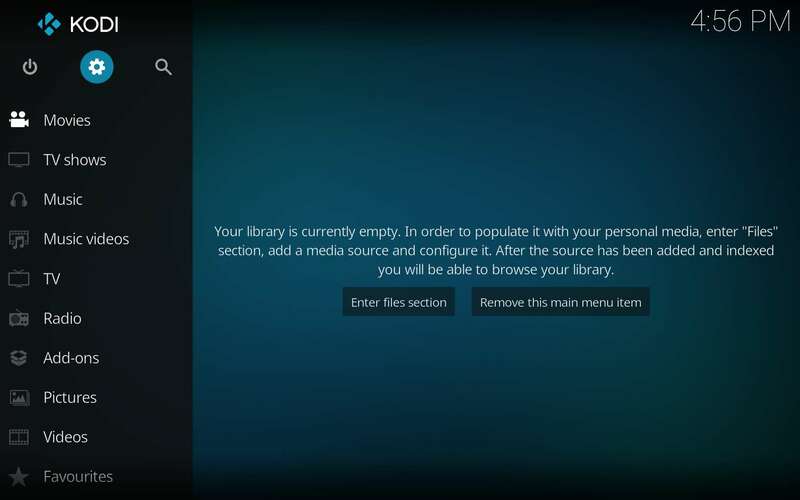 ), Kodi version (Krypton, Jarvis, etc), or if you had a typo in the address. Are you accessing the internet through a VPN? it said it was installed but I don’t see it. I’m using ipvanish. 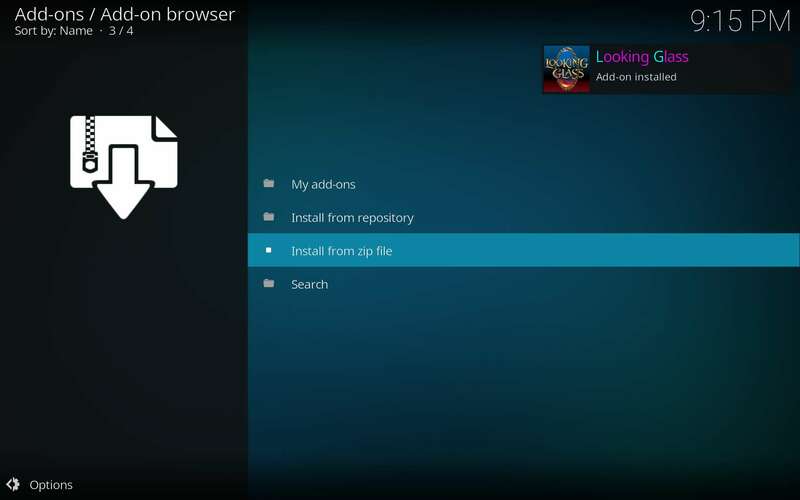 You should find the Looking Glass repository in “Add-ons >> Add-on browser (open box icon) >> Install from repository” after a successful installation. Easy install. It is the cleanest I have seen – no glaring, overwhelming artwork when using the ‘confluence build. It shows up in my add ons but when i try to run it the option doesnt show up to run. 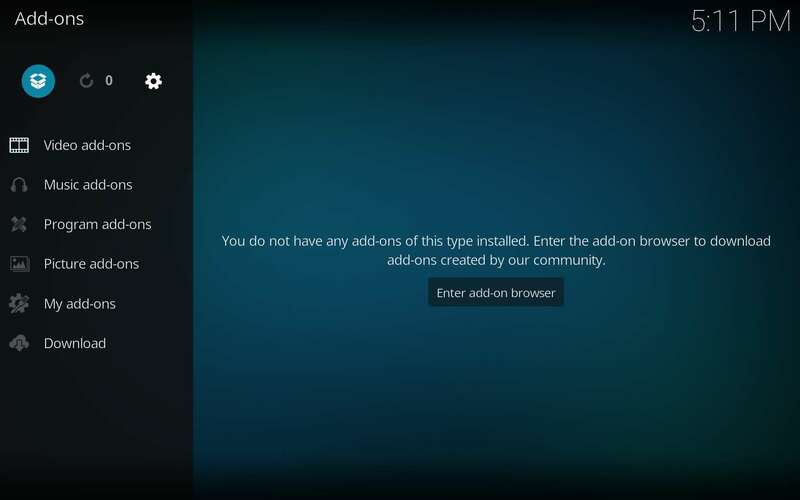 What shows up in your Kodi addons? 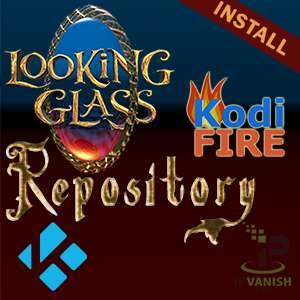 This article is about the repository setup and installation, which should only show up as Looking Glass Repository within the Kodi Add-ons > Add-on browser > Install from repository area. 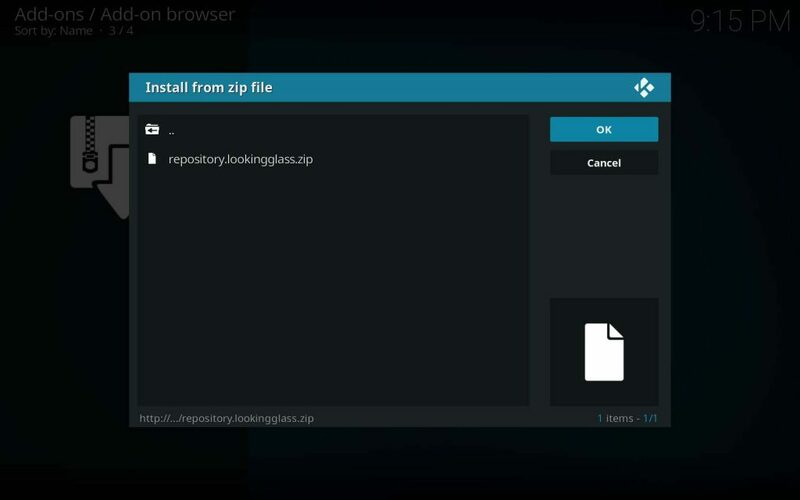 A repository isn’t something to run, but a place from which to install Kodi TV addons that can be run. Hello, mine says cannot connect to repository…. This one is down, you’ll want to try a new repo unfortunately. Yes i just have a question a few months back when started playing around with kodi a lil more than usual. Anyway i was having a problem with ipvanish anyways i ended up paying for 3 yrs of purevpn. But when i connect to purevpn it is like it looses connection? Everything says still connected but doesn’t load movies etc. I actually got ipvanish working again about 2 weeks after purchasing purevpn. Paid for 3 months of ipvanish but hate to pay for more if dont have to considering i have already paid for at least 2 and half years of purevpn. Do u kno anything i can try?